Okay so tomorrow (Tuesday, the 13th) some significant updates are coming out to the Apple devices you use everyday bringing with it some excellent new features and refinements. These are major version updates so they will take longer to download and install. Here is what is coming and what you should do to get ready. Know your Apple ID and Password for iCloud AND iTunes if they’re different. After install is complete, go to the App Store and do all your App updates. If you have questions, simply ask in the comments below. Better Water Resistance for swimming, the beach etc… I just really never want to take my watch off. Dedicated GPS – I am an active runner and I like to hike and mountain bike so being able to track with very high accuracy and make the most of third party Apps that use GPS just makes so much sense even without the need to have the iPhone. Better display – This was not a big deal for me as the current display is pretty great, but there are times in high sunlight that it can be harder to read so this was a want more than a must. Finally and most importantly, I wanted it to be fast. I wanted the watch to be not just faster but a lot faster. Instant responsiveness. Watch OS 3 is going to help with this on all the existing models as it is, but the new Chipset combined with the new software should make all the difference especially when using Siri and third party apps. 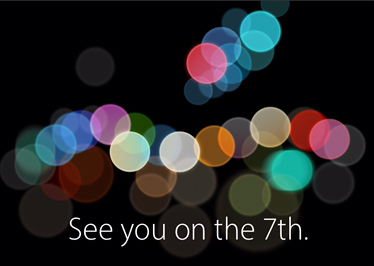 Today’s The Day: New iPhones, Watches, Software and More!